"It's the little things" they tell us...and they are right. Back in the day—the 1980's to be more precise—American Airlines was run by Robert L. Crandall. Ol' Bobby was a cheapskate, but a potentially wise boss. You see, he's the one who thought of removing just one olive from each dinner salad they served. How much could one little olive actually cost? It turns out Bob was right, to the tune of $40,000 a year. If one olive can save an airline $40,000 per year ($80,000 in today's dollars), then how can saving 1 second or 3 seconds or 10 seconds per click impact you and your business? Time is money so if your CRM loads quickly it means your sales people will not only perform their sales roles faster, they will be more likely to use the platform, which helps everyone. 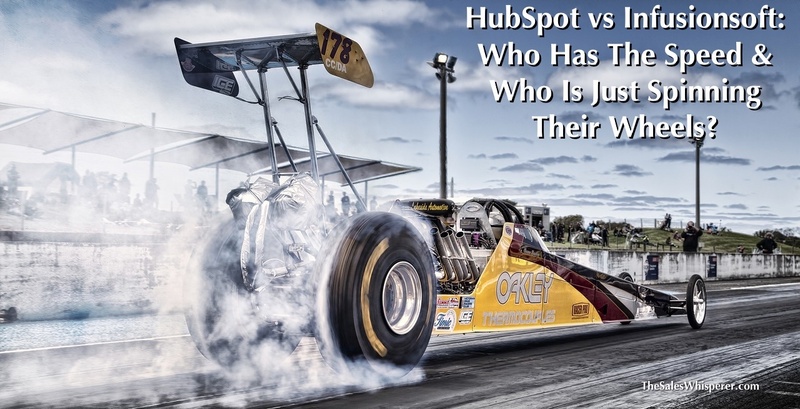 Here's how the CRMs of HubSpot vs Infusionsoft perform side by side. Make Your Marketing Magnetic: This is where it all began for me. You can attract qualified, eager buyers like clockwork when you master the concepts in this valuable program.